Dr Hazel has extensive experience in all aspects of transport and communications, both urban and rural. He has specific expertise from around the world in strategic planning and policy development, the integration of transport with other related areas, the prioritization of projects with respect to economic, environmental and social objectives and innovative funding of transport infrastructure. He has studied all forms of transport policy in many countries, both the successful and the unsuccessful and has gained a detailed insight into the key issues and influences. He has worked in the public, private and academic sectors at a senior level and has acted as advisor to the European Union, the Academy of Sustainable Communities, the Commission for Integrated Transport, Transport for London, the Queensland State Government, the Greater Toronto and Hamilton Region, the City of San Diego and many Government agencies around the UK. He is currently advising Scottish Enterprise on Smart Mobility as their Smart Mobility Network Integrator and has worked on the development of this programme for the past two years. He has recently been re-appointed as Smart Mobility Network Integrator for a further 2 years with a focus on delivering the national smart mobility programme. He has published a book on Making Cities Work and has presented at a large number of conferences around the world. He is currently working on the development of future mobility systems based on integrating the principles of transport planning, retailing, product design, energy and ICT systems. Dr Hazel is a Director of the George Hazel Consultancy. The company specialises in providing transport advice, concepts and solutions at the local and strategic level to the public and private sectors. The George Hazel Consultancy, based in Edinburgh, specializes in strategic and policy advice for cities, the future impact and delivery of smart mobility, demand management, sustainable development and regeneration projects, facilitation services, sustainable/smart communities design and innovative funding and delivery mechanisms. Dr Hazel is an Adjunct Professor at Queensland University of Technology, Chair of the Advisory Panel for the Transport Research Institute, Edinburgh Napier University, was a member of the Government’s Lorry Road User Charging advisory group, chair of the Urban Design Alliance (UDAL) and an advisor to the Commission for Integrated Transport. He was a member of the UK Secretary of State for Transport’s Steering Group for National Road User Charging, chair of the World Roads Congress C10 Committee, researching urban areas and transport, chair of the Scottish Public Policy Unit’s Transport Commission and Chair of Transport 2000’s Forum on Revitalising Communities on Main Roads. In January 2005 he was awarded the OBE for services to transport. He is an expert on towns and city regions and has written a book on Making Cities Work, published by Wiley. Previously he was Professor of Transport Policy at the Centre for Transport Policy where he looked after the consultancy business. From 1996 to 1999 he was Director of City Development for the City of Edinburgh Council responsible for planning, economic development, transportation and property. The Department had a staff of 1200. From 1993 to 1996 he was Director of Transportation for Lothian Regional Council again with a staff of 1200, including a roads maintenance DLO. During these two periods Dr Hazel worked with Professor David Begg who was Chair of Transport for the Council. Together they introduced many interesting new sustainable initiatives including Greenways bus priority, the first car-free development in the UK, the first community car club in the UK and the reallocation of space back to people in areas like the Royal Mile in Edinburgh Old Town. From 1989 to 1993 he was a main board Director with Transportation Planning Associates where he was responsible for Scotland. Under his direction the business grew from an almost zero base to one of the largest in Scotland with a fee income of around £1 million per annum. From 1979 to 1989, he was with Napier University as a transport specialist. Under his guidance the Department of Civil Engineering became the largest centre of transport research expertise in Scotland and one of the most important in the UK. In 1986 he was made Head of Department and in 1987 became the first Professor of Transportation in Scotland. His initial training, following graduation was in Local Government where he worked from 1971 to 1979. Smart Mobility Network Integrator for Scottish Enterprise – Phase 2 – Dr Hazel has been re-appointed as the Smart Mobility Network Integrator for Scottish Enterprise for phase 2 of the programme. This is a 2 year commission focusing on the developing of the smart mobility industry cluster in Scotland, growing the cluster to over 300 comoanies and building it into an interactive networking group. He will also lead the delivery of the smart mobility projects with the team in Scottish Enterprise buildings the range of projects into a National Living Lab demonstrating the full range of smart mobility products and services including the development of mobility management service companies. International Smart Mobility Advisor to Emaar, Dubai – Dr Hazel is one of 16 global experts commissioned by Emaar, the main developer in Dubai, to advise on the development of Dubai Creek Harbour. This is a major development of residences, retail and commercial uses which will attract around 750,000 people working, living and visiting the site. Emaar brought these experts together from around the world for an initial workshop in May 2104 to plan the design of the development. Smart Mobility Network Integrator for Scottish Enterprise – Dr Hazel was appointed by Scottish Enterprise to act as their Smart Mobility Network Integrator. The key actions of this commission are to help build a Smart Mobility industrial cluster in Scotland to attract foreign direct investment and boost exports for Scottish-based companies, secondly to showcase our expertise through a series of demonstration projects and thirdly to promote our expertise throughout the world. To date he has built a smart mobility cluster of over 200 companies and successfully launched a Challenge to Industry. The challenge attracted over 60 bids from industry, many in collaboration with the public sector and academia. The bids offered £56m of private sector investment and involved 180 organisations. Dr Hazel has been developing the bids with SE to create a “Living Lab” in Scotland, showcasing smart mobility products and services. Advisor to Scottish Enterprise on Smart Cities and Community Support – Dr Hazel was appointed to advise Scottish Enterprise on the development of their Smart Cities and Smart Mobility programmes. This has included presentations to CEED and the Council for Business Innovation and facilitating workshops at the Scottish Technology Show. It also included advice on the development and launch of the Challenge Fund. Advisor to the Technology Strategy Board Knowledge Network – Dr Hazel is working with the TSB Knowledge Network with respect to mobility management and smart mobility. He was the keynote speaker, along with the Government’s Chief Scientist, at a TRB seminar in London in March 2013 on these subjects. This was to an invited senior audience from the public and private sectors. He has been invited to a further meeting in June 2013. This also led to a presentation to senior members at the Department of Transport and a similar seminar in July 2013 for Transport for Manchester. Land Value Capture Report for Metrolinx, Toronto – Dr Hazel was appointed by Metrolinx, the transport agency for the Greater Toronto and Hamilton area, to produce a report explaining the potential of Land Uplift Capture methods to fund transit. He is also discussing the potential of smart mobility and mobility management with them. His last visit involved a 90 minute meeting with the Minister of Transport for Ontario, Mr Glen Murray, who explained that he has been avidly following the thoughts of Dr Hazel over the past few years and was keen to meet him. The majority of the time was spent explaining smart mobility, what was happening globally and in Scotland and how it could be applied to Ontario. Smart Mobility, Translink, Brisbane – Dr Hazel was part of a team advising Translink on the implementation of mobility management in Queensland. This is based on developing mobility products that are user focused and valued by the customer and help build a seamless mobility system in the future. Smart Mobility, Translink, Vancouver – Dr Hazel was part of a team advising Translink on the implementation of mobility manangement in Vancouver. This is based on developing mobility products that are user focused and valued by the customer and help build a seamless mobility system in the future. Northern Ireland Prioritisation Project – Dr Hazel was part of a team working with the Department of Regional Development in Belfast helping them develop a project prioritization framework for their transportation projects. Intelligent Mobility for Smart Cities. Dr Hazel was part of the team researching this area for Scottish Enterprise. This was in partnership with IBI, the Centre for Urban Growth and the Edinburgh Centre on Climate Change. A report was produced in April 2012. Urban Sustainability Centre, London. This is a new exhibition centre in Docklands London built by Siemens to illustrate sustainable urban living in the future. The building is very imaginative and wholly sustainable and opened for the Olympics in 2012. Dr Hazel was an advisor for the mobility element of the centre. EU Reviewer for the European Bus System of the Future. Dr Hazel was one of three EU reviewers who audited this very large project on a regular basis. Cambridgeshire Quality Design Panel. Dr Hazel is a member of this panel of planners, architects and designers who audit proposed developments in Cambridgeshire. Dr Hazel looks after the mobility aspects of the advice. Complete Mobility for the UK. Dr Hazel was project Director for a study of what Complete Mobility means for the UK market and how Siemens UK can promote their company and products in that market. The study was funded by Siemens UK. City Audit Studies for Calgary and Edmonton. Dr Hazel led the team carrying out in-depth studies on Calgary and Edmonton for Siemens. The report examined where these cities were in the development of mobility compared to other cities around the world and analysed their strengths and weaknesses. The report also set out a strategic way forward towards Complete Mobility for both cities. Mobility Index Study for Canadian Cities. Dr Hazel was Project Director for this study funded by Siemens Canada. The study analyses the position of the six major Canadian cities with respect to other world cities and places them on the global Mobility Index. It then studies the GTHA current plans to see what impact these will have on the Index in the future and on the GTHA’s economic competitiveness and supplements the existing plans with interventions that will move the GTHA towards Complete Mobility in the future. Dr Hazel was commissioned in a Critical Friend role, reviewing and advising on the Draft Regional Transportation Strategy and proposing ideas and examples of best practice around the world. International Advisor to the Queensland State Government, Australia. This was a 3 year appointment reporting to the Premier and her Government on the development of their congestion management strategy for south east Queensland. The role was to audit the work being developed, provide advice and best practice solutions and facilitate meetings and workshops in the region. Produced a policy paper on road user charging for the Local Government Association in England. Producing a policy research paper for Cardiff City Council and for the South of England Regional Assembly on congestion pricing/road user charging. Produced a policy paper for the South of Scotland Regional Transport Board on congestion pricing/road user charging. Audited a policy paper for the Chartered Institution of Highways and Transportation on congestion pricing/road user charging. Produced a thought piece report on innovative funding and pricing for the Halifax, Nova Scotia Bridge Commission. Makkah and Medina Land Use and Transport Plan. Dr Hazel was part of the team advising the Saudi Arabian Government on this important project. Ottawa Interprovincial Transit Plan. Dr Hazel was an International Advisor to this project which looked at integrating the two provincial transit systems in Ottawa and Gatineau. International Advisor to the Greater Toronto and Hamilton Region, Ontario. Dr Hazel was part of a team advising on the Regional Transport Plan. His role was to offer an international perspective and comment on the work being developed by the team. This involved all aspects of transportation and the associated governance, funding and delivery issues. A14 Interim Measures Group. Dr Hazel was commissioned to facilitate this group over a period of a year. It was made up of the key players from the public and private sectors with a view to managing the congestion problems on the A14 dual carriageway around Cambridge to allow the development of a new town at Northstowe. This area is one of the Government’s four Growth Areas. The initiatives include a range of short term and longer term measures to manage congestion and allow a staged development of the new town. They include hard engineering solutions and softer demand management solutions. The Edinburgh Road User Charging Project. Dr Hazel was involved in the consultation process with specific responsibility for key influencers in the city and surrounding region. To a large extent the scheme was sold on its congestion management and reduction aims. Regional Transport Plan for the Greater Toronto and Hamilton Region. Dr Hazel was retained as an international expert for the project which included a section on best practice with respect to funding and charging. One of the key issues related to managing the congestion on the strategic road system through a range of methods including various forms of charging; eg HOT lanes, cordon charging, etc. San Diego Downtown Transit Study. Dr Hazel was a member of an international panel of experts advising on the project. Given the important debate currently going on in North America on the role of the private sector, congestion management and pricing there was a chapter on these issues. Current pricing and PPP examples were researched by the team. One of the key issues is the severe congestion on the interstate road system joining the suburban cities around downtown San Diego and on the roads into San Diego. Various forms of congestion charging are being tentatively talked about as a part of the solution but some would be difficult to implement. HOT lanes are being planned in the foreseeable future. Dr Hazel was invited back as an international expert in April 2010. Enquiry by Design – Brisbane. Dr Hazel was a member of an international team which worked on the future transport plan for the Brisbane area through an Enquiry by Design process. The Northern Way. Dr Hazel was appointed Project Director for all aspects of transport and connectivity for the Northern Way. The aim of the Northern Way is to grow the north’s economy to close the productivity gap of £30 billion with the UK average. The area includes 8 city regions, 30 ports, 10 airports and 14.3 million people. The project involved developing the growth strategy, the action plan and the business plan and delivering the action plan for the short, medium and longer term. The development was underpinned by international research with respect to prioritization frameworks. Northamptonshire Growth Area. Project Director for the development of the Transport for Growth strategy, including the prioritization framework. This led to involvement in the development of the Mode Shift Strategy. Milton Keynes/East Midlands Growth Area. Project Director as above but for the whole sub-region. MKSM have to deliver 200,000 in the next 12 years in a sustainable way. Transport for London. Project Director for the audit and prioritization of Transport 2025, the transport plan for the next 17 years for the capital. The plan includes further congestion management developments in the city. Edinburgh Rail Ltd. This is an innovative funding company which began by seeking to fund the reopening of a suburban freight railway in Edinburgh on the back of increased land values around the proposed stations. Over the past ten years the company has developed a methodology to capture this gain. This has meant that a range of problems had to be solved, such as procurement and best value issues, financial modeling and confidentiality issues. The methodology has attracted a lot of interest and the company is now working on a number of projects throughout the UK, Canada and Australia seeking to fund guided and unguided busways, heavy and light rail, individual stations and road and ferry projects. The sums which can be captured for the funding of the transport facility can be substantial; for example over 50 % of the capital cost is being raised on certain projects. Siemens World Cities Project. Commissioned by Siemens in Munich to develop thinking on the future needs of large world cities. This work was extended to examine the trends in world cities, notably in Asia, and the role transport and connectivity has to play in improving the economy, the environment and the social needs. Siemens Megacity Challenges Project. Project Director for the work which involved analyzing the trends and influencing factors in 25 megacities around the world through secondary research and interviews with 525 city leaders. The report was published at the World Economic Forum in Davos in 2006 where Dr Hazel presented the results jointly with the CEO of Siemens. Siemens Complete Mobility Report. Project Director for this study which analyzed consumer trends worldwide building them into a Complete Mobility Index for any city in the world. The work builds on the megacities and megatrends work. Book on Making Cities Work. Dr Hazel was commissioned by Clear Channel Communication to produce a high quality book on city centres around the world. The book illustrates why certain city centres are successful through case studies, which concentrate on access, movement and the design of public space. It was published by Wiley in 2003. Tyne and Wear Transport Governance Study. Project Director looking at governance options for the region in the future and how they fit with policy and delivery. Tyne and Wear City Region Connectivity Group. Strategic advice for Tyne and Wear City Region on their connectivity strategy in the light of the Northern Way Growth Strategy and the Government’s devolution of regional budgets policy. Scottish Financial Enterprise. Commissioned to develop a paper on the future connectivity needs of the financial industry in Scotland. HITRANS Ferry Project. Commissioned as part of a team, by Highlands and Islands Transport Partnership, to examine the future of ferry services to the Highlands and Islands and propose a new strategic policy framework. Translink, Northern Ireland. Provided advice as part of a panel of experts on the purchase of over 20 new heavy rail train sets for Translink. The Scottish Executive. Providing advice on national transport policies and governance from experience around the world; identifying best practice. Transport Canada. Providing advice on strategic regional transport policies and governance from around the world; identifying best practice. Project Prioritisation Frameworks. Dr Hazel has built a number of project prioritization frameworks to relate policies and projects to economic, environmental and social objectives. These frameworks ascertain effectiveness of interventions and identify policy and project gaps. He has successfully delivered these frameworks for Northern Way, Northamptonshire, Milton Keynes/South Midlands, Transport for London and Queensland Department of Transport. President, Institution of Highways and Transportation (2003/2004). External Examiner, University of Ulster (2000-2004). Adjunct Professor University of Queensland. 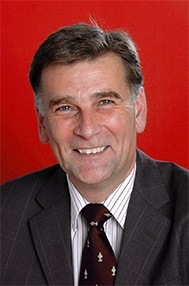 Chair of the UK Urban Design Alliance (2004/2006). Member of the Secretary of State for Transport’s Steering Group on National Road User Charging (2004). Member of the Advisory Group for Lorry Road User Charging (2004). Ex-Chair of Transport 2000’s Forum for “Revitalising Communities on Main Roads”. Over the years Dr Hazel has published and presented papers at a large number of conferences and seminars. Registered in Scotland no. SC413090.